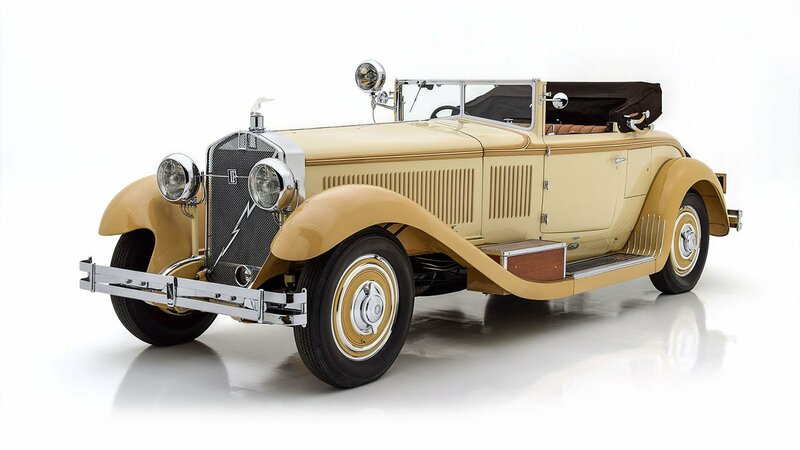 A rare and historically significant early production Cadillac. Splendid presentation, exquisitely detailed, and suitable for entry in the London-Brighton Run or similar veteran car events. 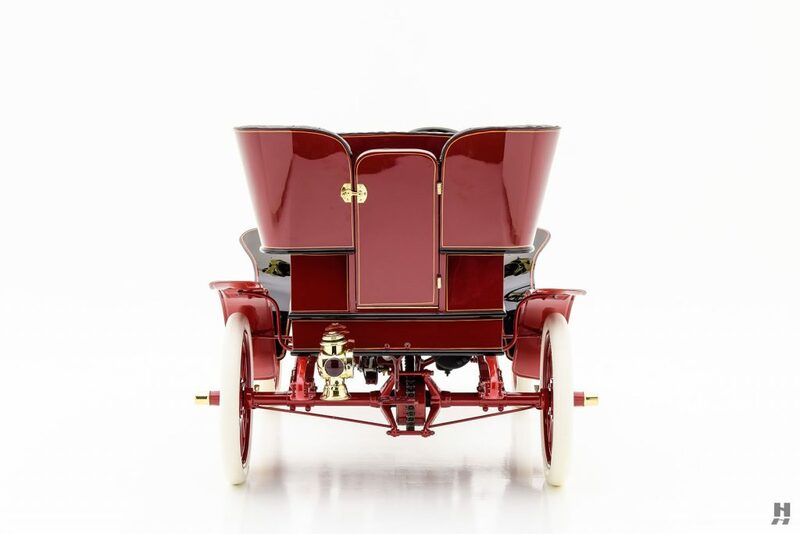 This 1903 Cadillac Model A Rear Entrance Tonneau is a rare, highly desirable, and important motorcar from the very first full year of Cadillac production. 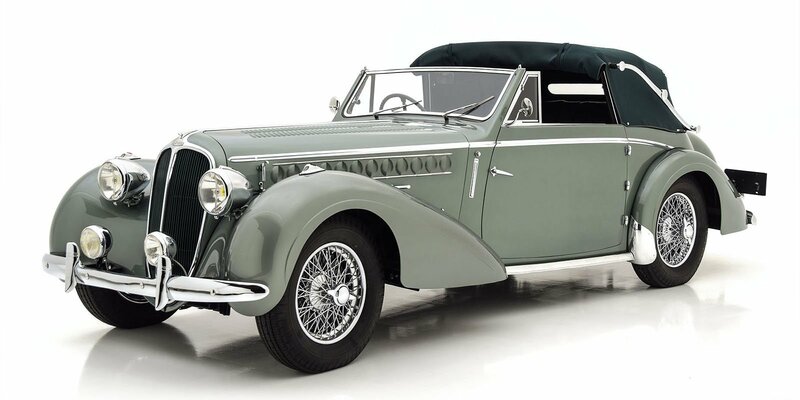 It benefits from a recent cosmetic restoration and presents in exquisite condition. 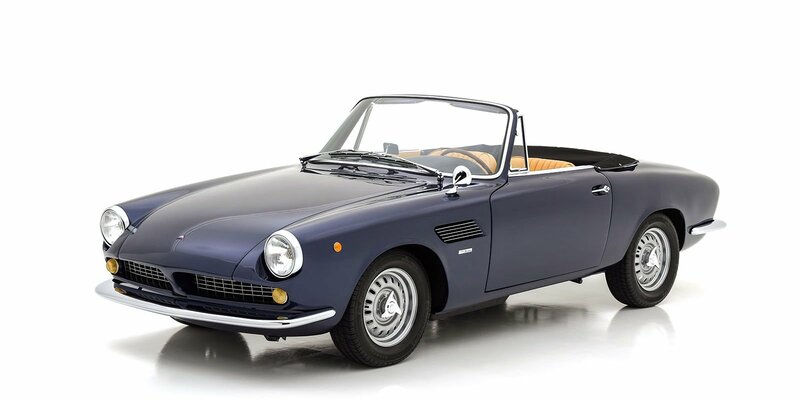 Documents show this car was delivered new in San Francisco, and spent much of its life in California. A copy of a 1950 California title shows the car belonged to Harry Johnson of San Pedro. 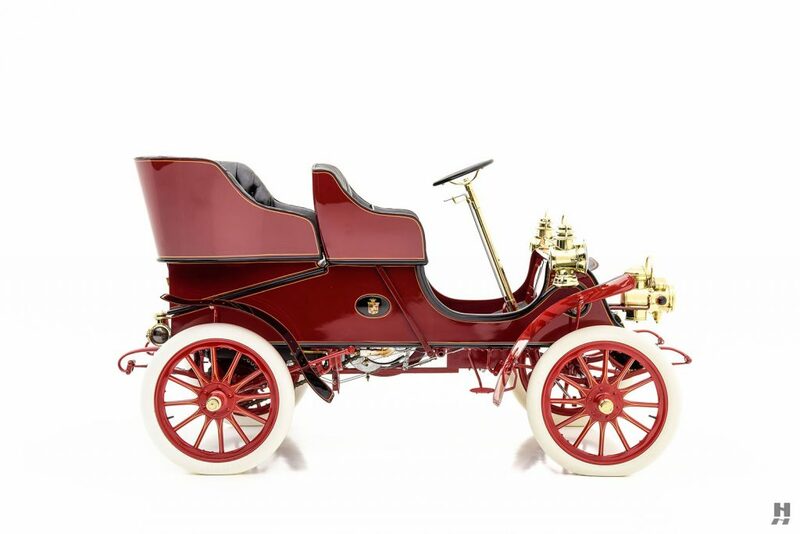 Johnson, an active Horseless Carriage Club of America member, sold the car in 1962 to Howard and Margaret Reed, who continued to enjoy the car for many more years. 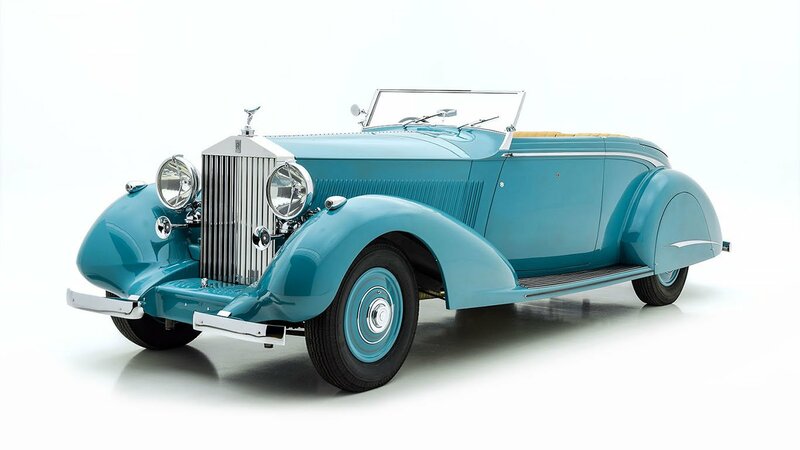 In the hands of its most recent owners, it left California for Arizona where it was treated as a cherished member of the family. 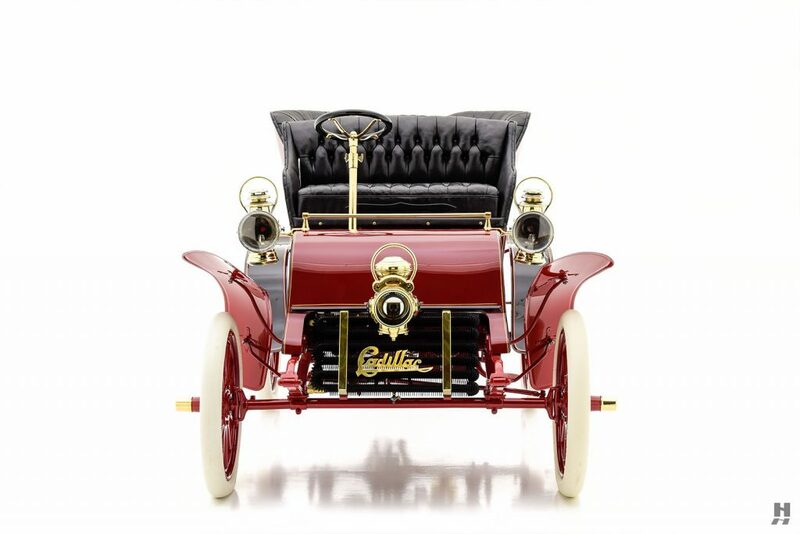 With its stunning two-tone red body with black steel mudguards, this Cadillac Model A has a delightful presence. Exquisite paintwork is highlighted with fine detailing and pinstriping. 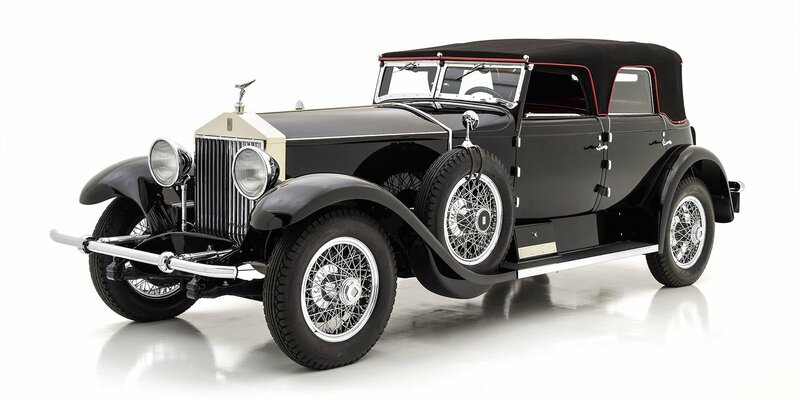 The restored artillery wheels are painted to match the coachwork and wear fresh, period-correct white pneumatic tires. Brass fittings are beautifully polished, including dual Dietz Motor Lamp carriage lamps, a centrally-mounted headlamp, Atwood Castle tail light. Minor accessories like the wheel caps, grab handles, and Cadillac script radiator emblem are similarly well-presented. The quality and attention to detail is quite impressive.